Welcome to the Tech corner! You’ll find our latest posts here. We will also have the Aero 101 segments up to date at the bottom. We have made them into PDFs for you to print out, save, whatever! Let us know how else we can help. 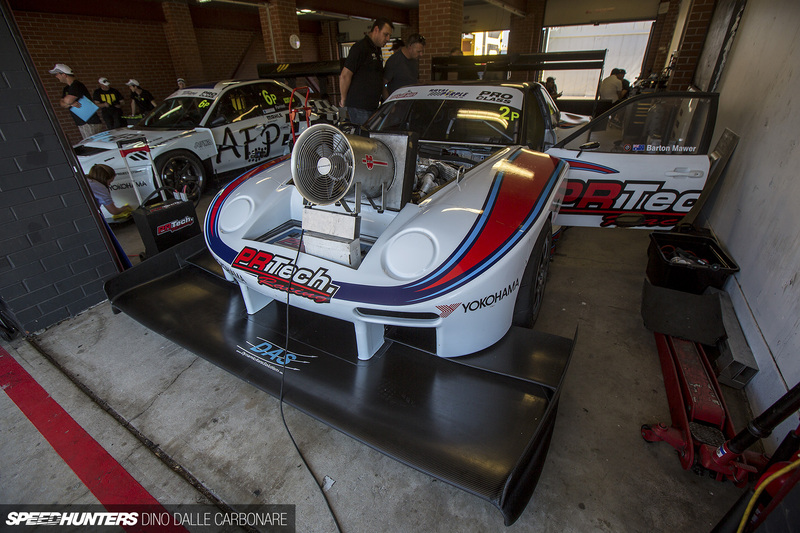 Another year has passed and it’s time for our annual coverage of World Time Attack Challence! Instead of covering one car for each article, this year we’ll highlight some of the changes to returning cars, as well as analyze some newer ones. We’ll start first with a very intriguing car, Andy Forrest’s WRX. The defining feature of this WRX is the unique front element, dubbed the “infinity wing”. 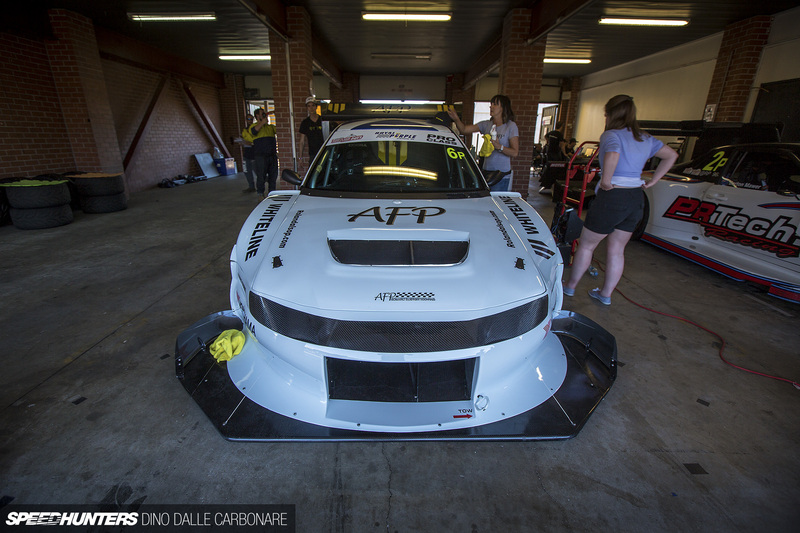 Designed by Andrew Brilliant of AMB Aero, this is the next step in time attack aerodynamic development. The infinity wing was designed to make the most of WTAC’s rules, which dictate a specific region of the car that can be used for a front wing. By curving the wing, Andrew was able to essentially fit a larger wing into a smaller area, as well as allow the wing to work at multiple directions of airflow, as opposed to just straight on. The curvature of the wing also helps to eliminate the drag produced as well, because the wing now has 2 side forces acting upon it which cancel each other out, instead of 1 side force and one vertical force. This means that while the car is in yaw, it will still continue to develop downforce on both the inboard and outboard corners, allowing the car to corner flatter and faster. The wing’s cross sections changes in regards to the path of airflow. Here is a closer look at the upper flap of the infinity wing. Next, we’ll move onto the PR Technology RP968, which this year received a new one piece front end. You’ll see that they are now sporting a dual element front wing assembly, which is much larger than the one they had last year. The outer edges of the front wing curve downward, which help to induce a vortex that travels along the side of the car and can also help airflow stay attached to the underside of the wing. 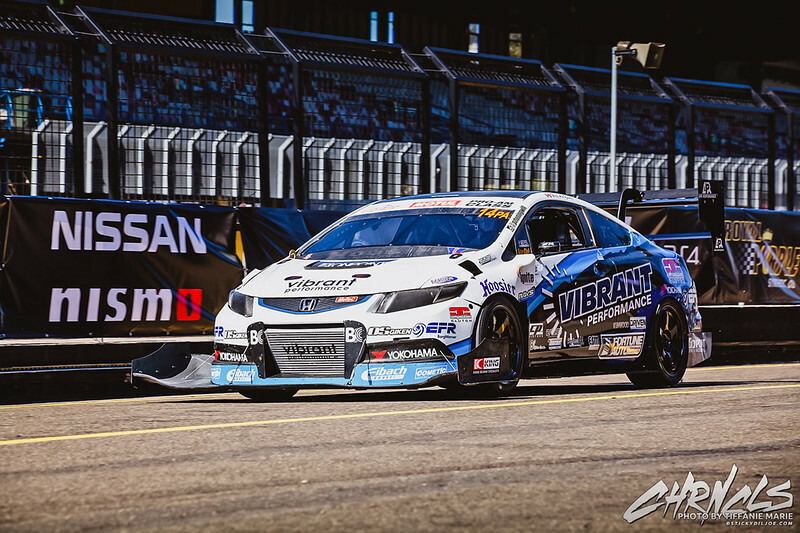 Finally, the only car from North America this year, the PZ Tuning Honda Civic! This was its debut and it did not disappoint. Will’s front splitter has multiple different sections in it. The middle of the splitter is raised slightly to allow air to pass underneath the car under heavy braking, to avoid choking the ground effects of the floor. As it moves out it resembles a normal splitter until you get to the ends. Like Under Suzuki’s car, the outer sections have a wing profile. You’ll notice that the very ends of the winglets are higher than the rest of the splitter; this is to ensure that when cornering, the wing doesn’t contact the ground, and also to make the wing more efficient, because the wing profile will be parallel to the ground. 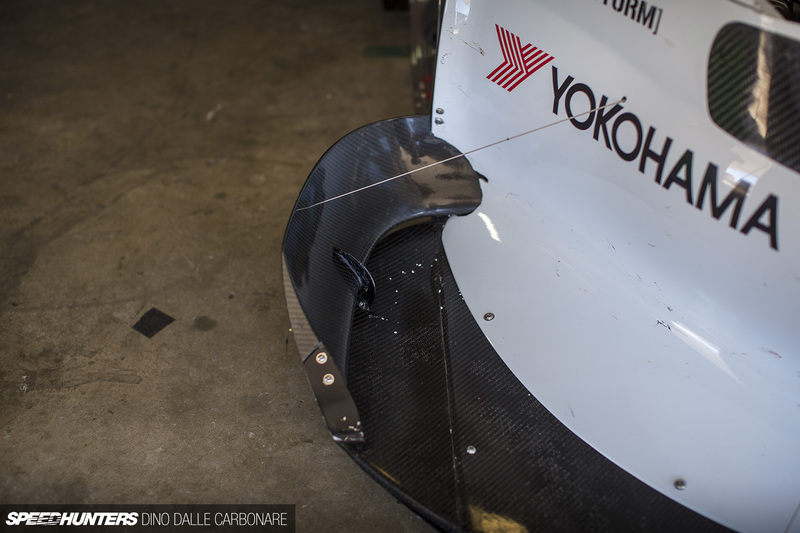 The splitter/front wing endplates are what you would expect, and also feature an expansion cone at the rear. This increases the downforce the wing is able to produce by increasing the area of the low pressure side, and contributes to the outwash effect. Will has chosen to vent his fenders just like the LMP cars, using a large hole with a gurney at the front to help extract air. At the rear is a unique exhaust “box” that blows hot exhaust jets to a beam wing. This turns the air upward to the dual element APR wing to help create more downforce. Good read on aero. Thank you!